"Global in ethos; South American in spirit." 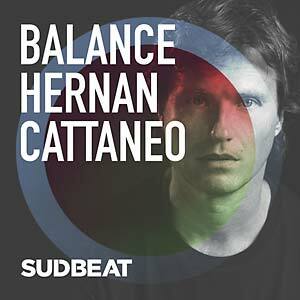 That's how Hernan Cattaneo describes his acclaimed Sudbeat label, founded in 2009 with his friend Graziano Raffa to manage the label. Across a century of releases they have brought the world mesmerizing electronic music from some of the world's biggest producers, as well as fostering countless new talents. 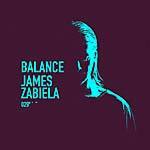 "We both think that musical identity is crucial" explains Cattaneo, and it's something that's stamped all over this sublime new double disc compilation comprising entirely of unreleased, exclusive material from the label's roster in collaboration with Balance Music. This compilation digs deep into the Sudbeat network of rising talents from across the globe, unearthing many lesser-known and promising names. With Sudbeat having such a clear identity, putting this compilation together was an organic process for Cattaneo, with pairings and sequencings almost picking themselves. Disc one is a slow-burning, downtempo affair that rounds-up Sudbeat's less dancefloor-focused output. 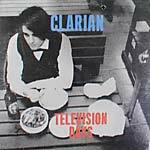 Peak time material it may not be, but is still exudes all the hallmarks of their livelier material, and works just as well on early hour dancefloors, as it does on the beaches, or in a home setting. The mood ranges from Toki Fuko's meditative "An Odor," to the hazy synths of Ian Dillon's "Embers," and through to the sumptuous vocal delights of Oriana Favaro Cattaneo & Soundexile's "Closer," and the melancholy of another of their gorgeous collaborations, "Perpetual (Day Mix)." Big guns like Nick Warren and Henry Saiz provide deep cuts, interspersing the impressive bevy of newer names. Disc two begins in mystical fashion, with the Arabic melodies of Simon Vuarambon & Sidartha Siliceo's "Liberation" segueing into the haunting, glassy synths of Tara Brooks's "Yugen." Snatches of distant, solemn pianos abound on Dance Spirit's "Kaleidoscope"; heady arpeggios reign supreme on Audio Junkies & Lonya's "Ima" and Hernan & Soundexile's lush "Deneb"; chunky groove powers the mix on forwards in Guy Mantzur's "Requiem For Us"; and rousing epics like Cattaneo & Soundexile's "Pressure Drop" and Guy J's "Brothers Vibe", which propel the listener into higher territories. 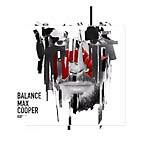 It's a supremely classy collection of tracks that effortlessly blend and blur into one another. Also features: Sahar Z & Navar, Anton Tumas & Eugene Toale, Ben Shaw, Conures, Kevin Di Serna & Ditian, Hernan Cattaneo & Soundexile, Khen, Oriana Favaro, Tripswitch, Konvex & The Shadow, Giddyhead, VERLK, Navid Mehr, Juan Deminicis, Facundo Mohrr & Valdovinos, Chicola, Nick Varon, and Crudito Sava.